Hey, MAGA idiots! 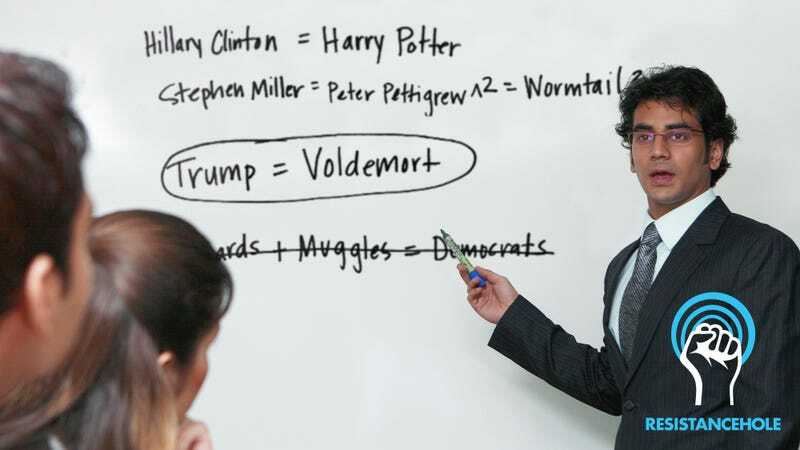 You can yell all you want about how the media is unfair to Donald Drumpf, but now there is officially a little thing called MATH that empirically proves he is the worst: A research team at MIT has just conclusively proved that Trump = Voldemort. Wow. Let’s see you talk your way out of this one, Trump stans! Wow. Liberal pundits across the country are already suggesting that this may be the Orange One’s most devastating loss yet, because math is objectively always right. So much for Trump 2020! The Drumpf administration must be seething with rage now that the exhaustive study, which cost $28 million over nine months, has reached this conclusion. Looks like fighting for the Resistance just got a lot easier!